Lines are good for business. 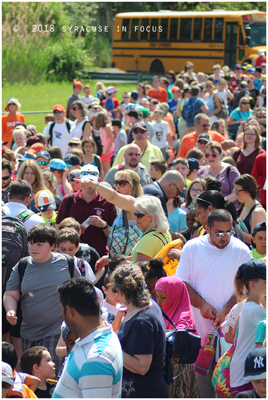 The crowd for today’s Education Day game surged to over 10,000, according to team officials. 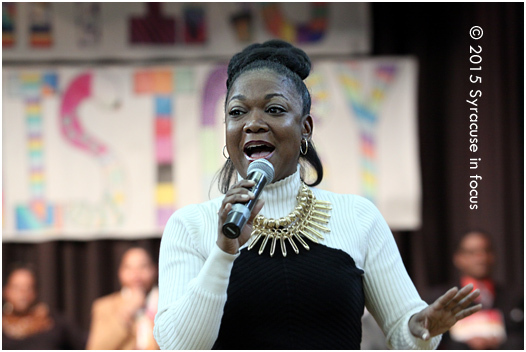 Educator Dr. Najah Salaam Jennings-Bey (above) gave a short keynote during a recent NAACP meeting. 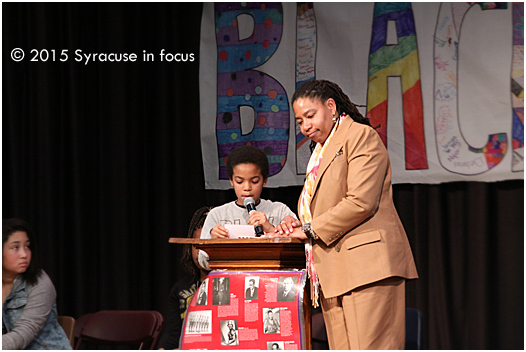 Her work encompasses educating children, engaging staff, and healing trauma for the Syracuse City School District. 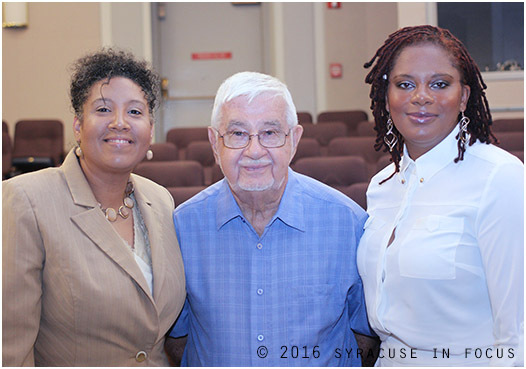 Dr. Daria Willis (right) met members of Mercy Works, Inc. today, including executives Angela Douglas and Clarence Jordan. Some folks waste no time. Onondaga Community College’s new Provost Dr. Daria Willis has been on the job exactly one month, and she’s already making an impact. 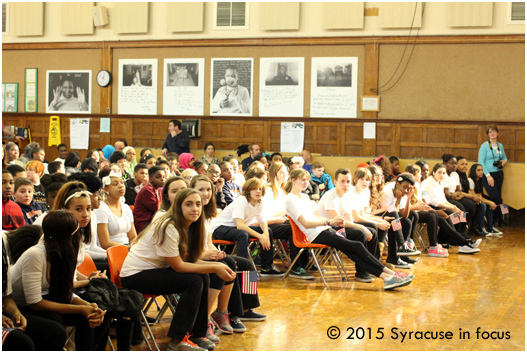 Today she met students from the Synergy internship program (Mercy Works, Inc.) at Upstate Medical University. 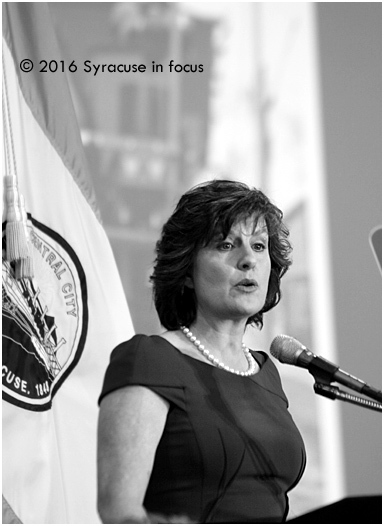 During her brief commencement remarks, she encouraged the students to reach for their goals and never take the any aspect of their educational opportunities lightly. It’s always good to see new people bring new energy to existing programs (Willis is from the ATL, and got degrees from FAMU and Florida State). If you see her out and about show her some love. 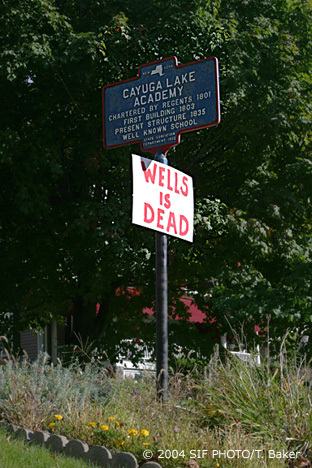 Gestures like this help put the “C” in community college. 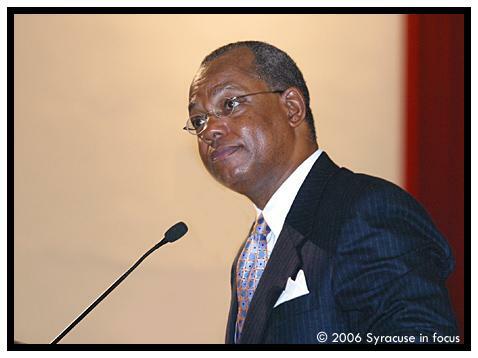 Reverend Dr. Calvin O. Butts, III spoke at Syracuse University in 2006. 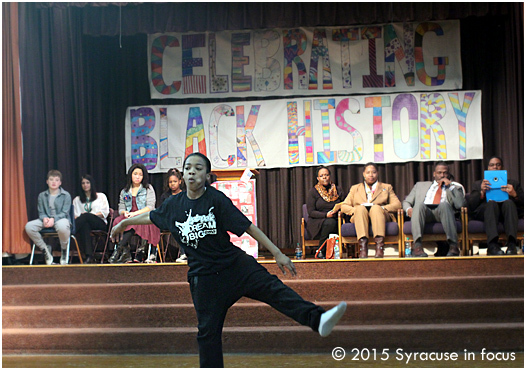 The event began with a dance performance by the Young & Talented group. During the ceremony,Darlene Dow from United States Post Office unveiled the commemorative stamp featuring architect Robert Robinson Taylor. 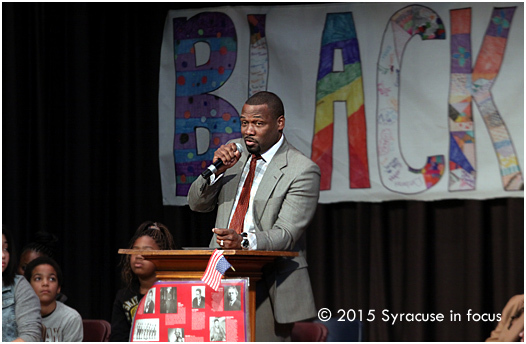 Syracuse Common Councilor Khalid Bey talked about his transition from college athletics to working in government. Newly appointed School Board Commissioner Mark Muhammad, a professor at Onondaga Community College told students he has high expectations for all SCSD children and he wants to increase graduation (rates) by continued participation in education. Evelyn Carter, Consumer Affairs Manager for Wegmans, talked about the “Let’s Move” Initiative and the importance of healthy food choices. Ed Smith School 5th grader Jabari Diggs (center) turned on his news anchor voice while asking SU Professor Paula Johnson a question during the panel. On the front row dancers anxiously awaited their turn to perform in the finale. 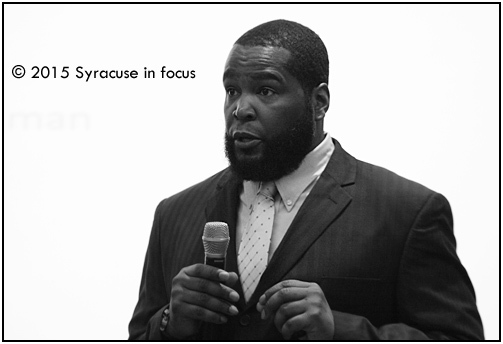 Dr. Umar will speak at the Frank E. Merriweather Library in Buffalo this afternoon, and on Sunday in Virginia Beach. 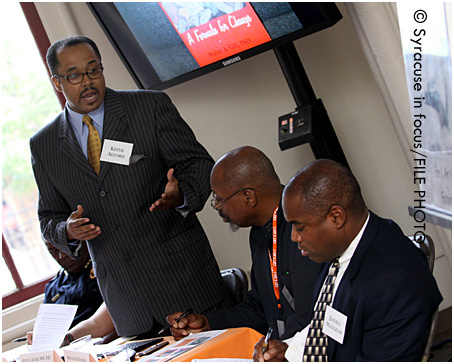 Dr. Keith Alford led an education discussion during CBT X (pictured with Ali Alif Muhammad and Dr. Jeffrey Mangram). 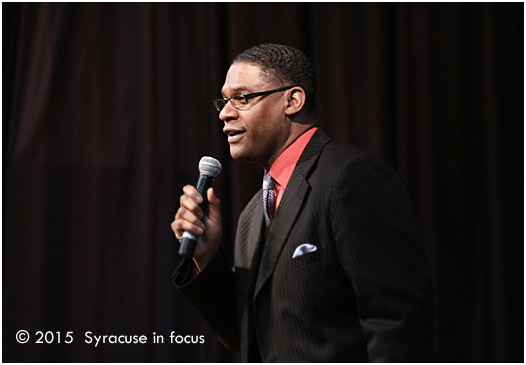 During Syracuse University’s Coming Back Together (CBT) we always get to meet some great alumni and learn some great stories such as this one about the Syracuse 8 (including Ali Alif Muhammad). The CBT reunion is coming up next week. 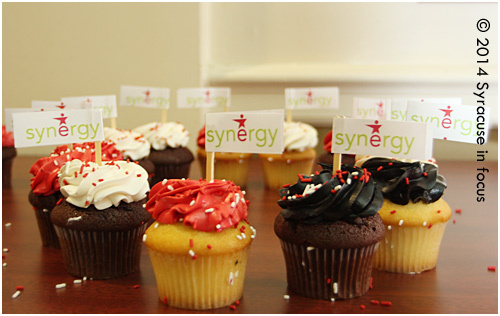 Congratulations to the 2014 Synergy graduation class.